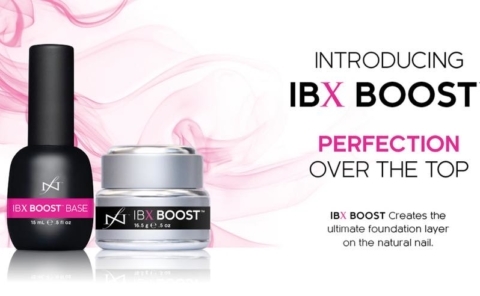 IBX Nail Treatments are a revolutionary two-part system that acts as a protective shield for the natural nail. It can also be used as a natural nail strengthening system to help grow natural nails making them stronger. The Repair Treatment is for a variety of types of damage. Are you nails peeling or flaking? Do you have paper thin nails? Perhaps your nails are prone to chipping? IBX Nail Strengthening Treatments could be the solution. Unlike a repair polish that sits on the surface of your nail, IBX uses both essential oils and heat to penetrate inside the nail plate. Traditional repair polishes form a bond with the keratin in the nail and are removed and re-applied every time you change your nail colour. IBX fuses the layers in the upper portion of the nail plate together with an Interpernetratin Polymer Network, locking itself within the nail plate. Keep an eye on our Instagram page for before and after photo’s. Treatment is prescribed based on the individual & the condition of their nails, this means someone with heavily damaged nails may require more treatments. We love to make your natural nails pretty. Check out our full nail treatment list. If you want great nails but need guidance, please call or email the salon and we will be happy to help. Please note, we focus on the natural nail and promoting nail health and therefore do not apply acrylic treatments nor are we able to remove them for you. Please ensure you have natural nails for your treatment at Queen B.
Cuticles tidied, nails are shaped, application of IBX treatment and strengthener and a choice of nail laquer. Dadi’Oil application. Add an application of IBX to your Gelish manicure or spa or signature manicure for extra protection. Boost will smooth, strengthen, protect and act as a buffer layer under your manicure or gel treatment. This is an add on service and cannot be performed on its own.